St. Andrews Jubilee Course: This 6742 yard 72 par course, is the third championship course at the Home of Golf. The Jubilee is considered by many to be the most challenging course on the famous Links. 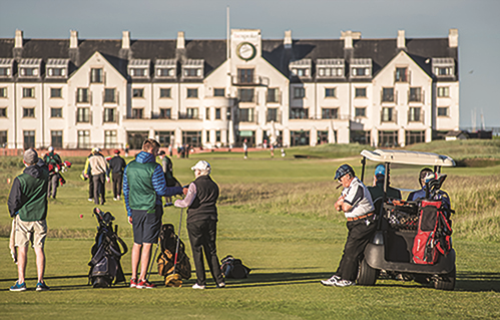 Carnoustie Golf Links: Carnoustie is a big natural seaside golf links course and the Championship course is considered to be one of the most difficult in the British Isles. Kingsbarns Golf Links: Situated just six miles from St. Andrews, Kingsbarns is an important addition to this area. Take advantage of viewing the North Sea from virtually every part of the course.